Interbus is the easiest way to start and end your trip around Costa Rica. Let our professional and friendly drivers take you to your destination. 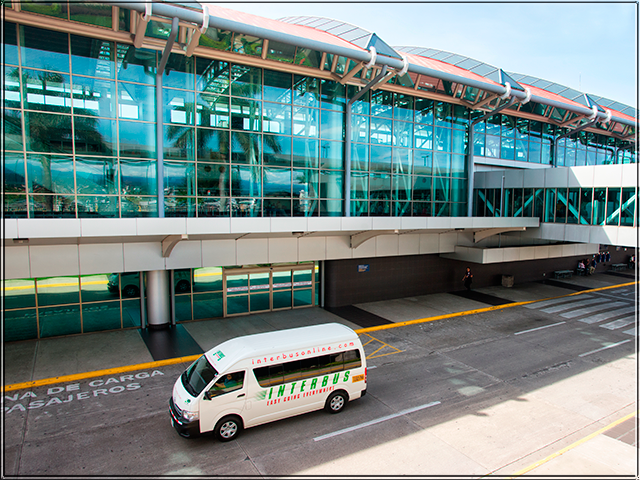 Our airport transfer is an economical, safe and comfortable way to travel from the Juan Santamaria International Airport to the metropolitan area hotels. Be careful at the airport, there are many vendors in the hallway; we recommend you do not stop to talk to them. If for some reason you cannot find our representative, please contact us by phone or by e-mail to reservations@interbusonline.com . We NEVER ask anyone outside our company to take you to your hotel, if someone offers to take you from the airport to your hotel on our behalf; and not have our uniform, and tries to charge more, please reject it. We are not responsible for any other company or its shares.